There’s no way to know what college has in store for innocent Brandy. Or who. Brandy has been yearning after her smouldering English professor since she first started his college class. Pretty but plain, she has always lived in the shadow of her best friend, but now it’s time for a true awakening...Deep dark eyes, tall, muscled, and breathtakingly handsome. A writer, a true artist at heart, with intense and dangerous desires. Maybe he can replace the love that was lost when her father died. Brandy desperately needs love, protection...and Dragos. If you are looking for a new type of diet plan that will not only jump-start your weight-loss goals with immediate results but will also provide you with a blueprint for a healthier overall way of life, then the ketogenic diet is the diet for you. It utilizes your body’s natural processes to burn fat and provides you with more energy than you will know what to do with. If you are interested in learning more, here is the book you have been waiting for - Keto Diet for Beginners. When it comes to finding a diet that can help you lose weight and gain back the energy of your youth, the ketogenic (keto) diet is the natural choice. 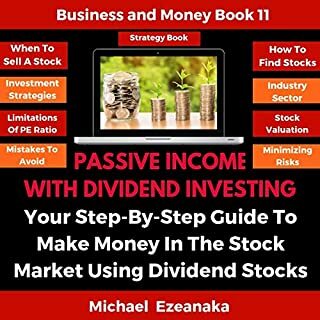 While the benefits are vast and varied, actually making the transition in a healthy way can be difficult if you don’t know what you are doing, which is where this audiobook comes in. 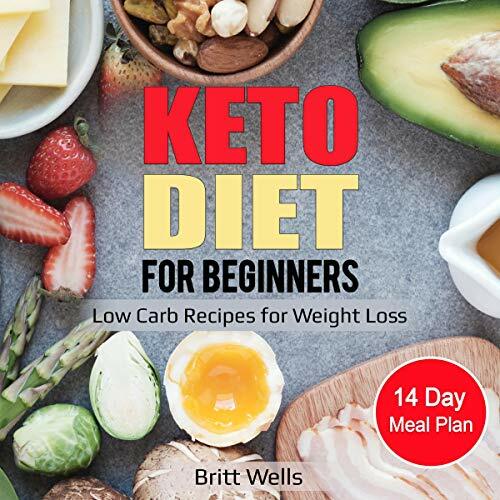 Keto Diet for Beginners: Low Carb Recipes for Weight Loss - 14 Day Meal Plan introduction contains everything you need to make the transition to the keto diet as quick and painless as possible. You will find everything you need to know in order to start off strong with the keto diet from day. You will find a basic breakdown of the diet as well as what to expect when you are first getting started along with tips for success to help you on your way. 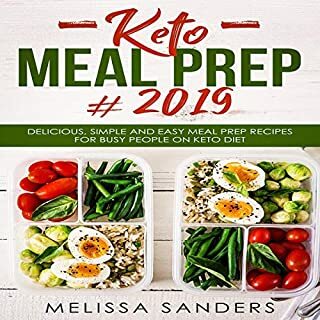 From there, a majority of the audiobook is dedicated to a 14-day meal plan including recipes for breakfast, lunch, dinner, snacks, and dessert to ensure that the transition to a keto lifestyle is as manageable as possible. This transition period can be difficult for many people which is why it is important to have a meal plan that you can stick to that is designed to make the change as manageable as possible. When you are first making these types of changes to your life it is important that things go well, at least for a little while, so that your brain can form the right types of positive associations with the activity you are pursuing. This is why it is better to start off with a meal plan designed to keep you under your carb limit as opposed to winging it as if you try and fail early on, it is less likely that you will pick yourself up and try again. So, what are you waiting for? Take control of your diet like never before and buy this audiobook today! 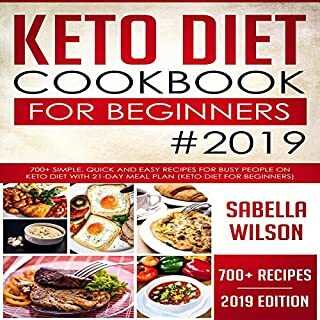 The idea of this keto diet for beginners cookbook is to provide you with a number of easy but at the same time healthy recipes which can be cooked daily. This keto cookbook for beginners is a lovely starter about food and nutrition and how minor changes in diets can help us to reclaim our lives. 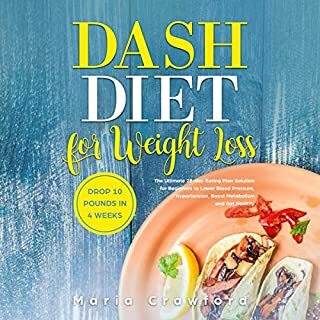 It contains brief sections which will introduce you to keto diet, top 10 foods to include in keto diet and foods to avoid in a keto diet, keto diet breakfast recipes, keto diet lunch recipes, and keto diet dinner recipes. Keto Diet for Beginners! This book includes some good recipes. This book the best book than another keto! Recommended! This book is a perfect fit- plenty informative without bind too technical, and great recipes. The biggest fear health care professionals have about ketosis is the risk of it going too far, into a state of ketoacidosis. This happens when your ketone level goes too high, turning your blood dangerously acidic. The recipes are SO good and the meal plans take all of the guesswork out, I​ would recommend this book to anyone! Nice keto guide with detail understanding. Beginners keto guide with step by step tips with details instruction to follow. 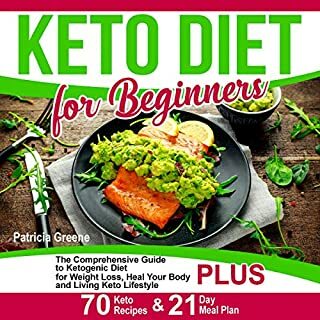 The author did a great job this book including easy to follow guidelines with details description of keto which will definitely help a beginner to get the understanding of keto and how to achieve the result looking for. I really appreciate the read and very much recommended. This book really delves into the science behind a ketogenic diet, all of the medical conditions it helps, and why it helps. Going keto isn't just about losing weight, it's about improving your health. If you have been curious about what the Keto "diet" (it's not a diet, it's a lifestyle) is, then I promise you, you will find out everything you want and need to know in this book. But after listening it, don't stop there, go buy some, or like me, all of authors’ cookbooks and you'll see why this isn't a diet at all. So helpful and so much info.. I highly recommend this book for several reasons. Easy to understand. Not too technical. As an older person, I also liked the larger font. I really liked how they presented the information and gave you week to week meal plans, including yummy snacks. The back end of the book included very organized shopping lists according to each week.